Oliver’s main argument that the reason you CANNOT win over the long haul in blackjack is because the dealer has the same chance of getting 20 or 21 as you. Good point, Oliver. However, did you forget that the player gets paid 3:2 on blackjacks (21 with the first 2 cards)? So it’s an even trade with the dealer for 20’s and multiple card 21’s, but you’re getting 50% more for every blackjack that you get than the dealer. I’ll trade an even number of $100 blackjacks back and forth between me and the dealer all day, because I know that I get $150 for each blackjack, while the dealer only gets my $100. Oliver’s second argument is that HE lost everything. Well, sorry Oliver that you aren’t capable enough, but don’t claim that it can’t be done just because you are inept. 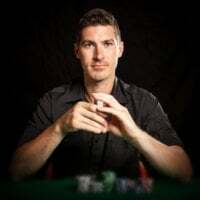 Plenty of people “count cards”, but don’t make a profit, for any of a number of reasons… They either do not follow the strategy perfectly, cannot count perfectly, don’t have a winning bet spread, cannot manage their money properly, tip away any advantage they do have, or play unbeatable games. Whatever the case may be, I guarantee that Oliver is too much of a “gambler” to be a successful card counter. The main casino he mentions is Barona, in San Diego. I must know 30+ card counters who have played Barona (myself included), and we’ve all been backed off from blackjack sooner or later (usually sooner). Barona even has a Blackjack Hall of Fame! They know a successful card counter when they see one. If Oliver was at all apt, he wouldn’t have lasted long at all at Barona. Yet another reason why his problems are with his own blackjack game, not card counting as a science. Sorry Oliver, but you’re like a gunman with horrible aim claiming that guns can’t kill people. 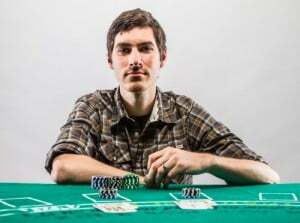 Oliver claims he invented the “double up theory”, where you double your bet after you lose a bet, as to win back your original money and always end up even or on top. This is actually called a “progressive bet spread” or “Martingale Bet System”, and it’s as old as gambling. I first heard of a progressive bet spread in college in regards to how to beat roulette. This was long before I ever had gambled or knew how to count cards. I don’t need to explain why it’s faulty logic. If you’re interested you can read it here . But I don’t know what’s more asinine: Oliver claiming he invented it, or that he uses it. My final area of amusement from the interview is that Oliver says that he still gambles. After he “lost it all” gambling, he still is either dumb enough or addicted enough that he’s still out there donating his money to the casinos. If you’re going to write a book about the dangers of gambling and how you lost it all, at least don’t be stupid enough to admit you’re still caught up in gambling. Oliver is yet another gambler making excuses for his lack of self-control and addictive habits. And he’s using his tragedy as an opportunity to make a buck selling a book about it, cashing in on the brief media hype caused by the movie “21”. He can’t admit that he’s too poor at card counting to make it work; he has to say that card counting itself is flawed. Well, that comes as a surprise to myself and all the other advantage players that are able to consistently play blackjack to make a living (or at least supplement their income). Oh well… at least might keep a few problem gamblers from wasting their money at the blackjack tables.